Duanecia is an exceptional leader. From her communications prowess to her deft design skills to her strong relationships, Duanecia is the rare talent that can both set ambitious vision and execute it with quality. Working with Duanecia has been a joy and a privilege. Having known Duanecia Evans since approximately 2009, and having seen her develop as a professional and a leader, writing this recommendation is imperative. On graduating with her BA Duanecia began pursuit of a career in public service. Her work with and commitment to the goals of Teach for America speak to the determination of a young minority with a solid university education to contribute to the education of young high school students in the inner city (Bridgeport), and to think strategically about mechanisms and institutions that could and would afford opportunities to young minorities to pursue an education and achieve their career aspirations. The United States needs more educated young leaders like Duanecia who wear commitment to education like badges on their sleeves. Knowing her is a privilege and recommending her an honor. Duanecia Evans is a force. An insightful, steady and powerful leader, Duanecia has demonstrated skill at building influential relationships towards important community and partnership development. The person you'll always want on your team, Duanecia's open spirit, and zeal for life make her a wonderful teammate! Strategic - kind - and ready to learn - engaging - Duanecia is irreplaceable. "It is very rare that you come across such a passionate, driven youth development professional. I had the pleasure of working alongside Duanecia at the 1199 Child Care Funds on numerous projects and initiatives. Her ability to command an audience and get others on board with ideas was admirable and her presence not only on her own team, but across the entire organization is noteworthy. She was able to successfully boost program numbers, implement and develop new curriculum, and strategically plan for not only the current program year, but upcoming programming as well. Her combination of innovation and ambition sets a true example for her colleagues and increases team morale and productivity." 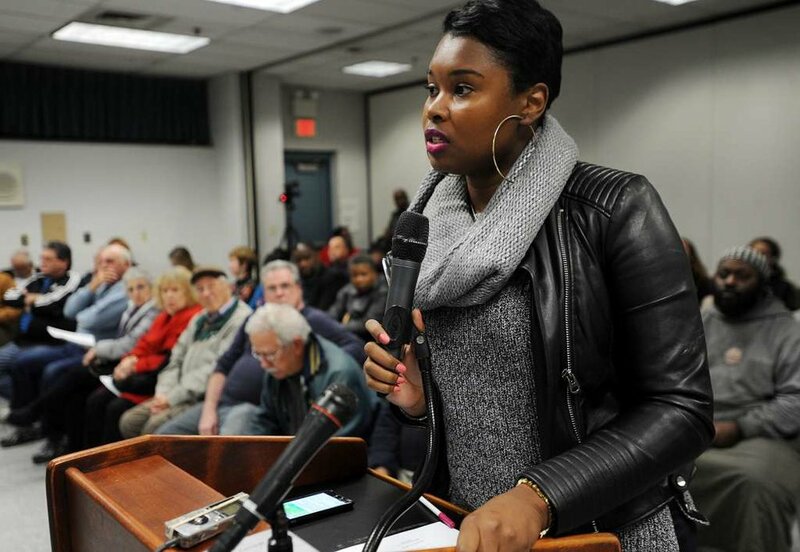 New Haven community leaders say power can change racial profiling.